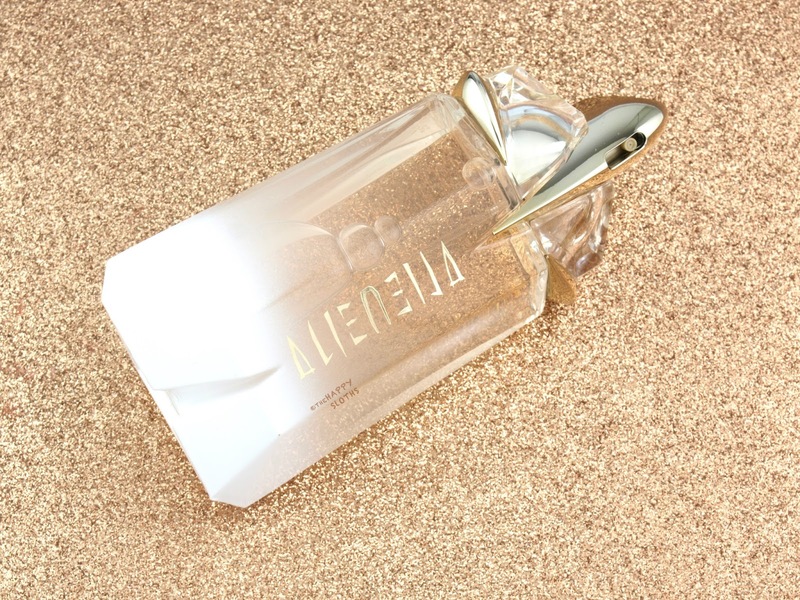 Housed in a non-refillable bottle not too different from the original Alien design, Alien Eau Sublime sheds the classic amethyst facade to reveal a luminous golden glow. The glass shifts from a transparent finish to a milky white tint and the perfume liquid is colored with a soft golden hue. Like the original Alien and the Divine Ornamentation edition, Eau Sublime does not have a removable cap. Instead, the bottle has a gorgeous nozzle dispenser directly fixed atop a crystalline structure. Overall, the bottle is beautiful! It's as stunning as the original but with a bright, solar spin. 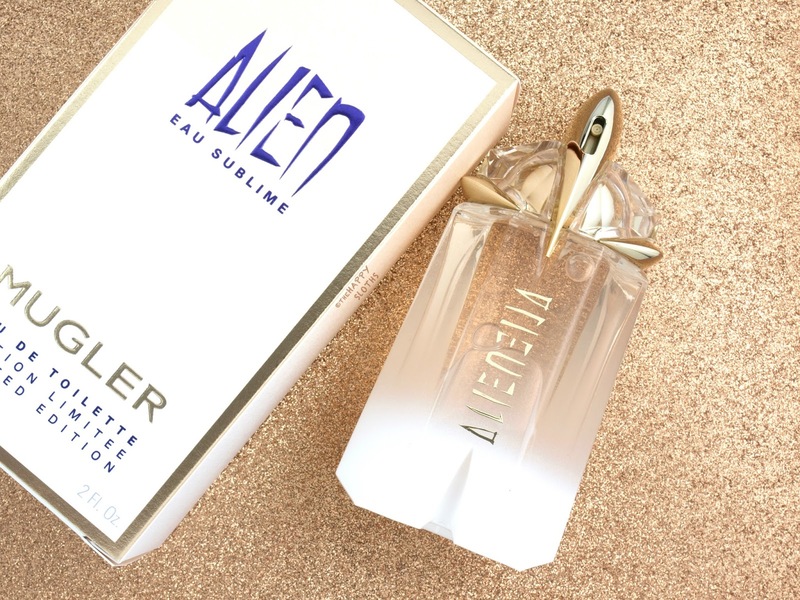 With the exception of a more uplifting citrus undertone thanks to the sweet mandarin and orange, Alien Eau Sublime is not too different from the original Alien. Jasmine takes center stage yet again and the fragrance has a sweet, powdery feel that's both intoxicating and refreshing. To me, Eau Sublime is essentially a sunnier version of Alien. It's still a sweet floral, but with a refreshing twist. In terms of wear, the fragrance did okay. Five or so hours and it fades to a barely noticeable whisper. Overall, if you like the original Alien, then you will love this as a lighter summer option. Top Notes: Mandarin, orange, galbanum. Heart Notes: Jasmine, tiare flower, heliotrope. Base Notes: Cashmeran wood and white amber. Mugler is available at Hudson's Bay, Sephora, Nordstrom, Shoppers Drug Mart, Jean Coutu, and Murale.